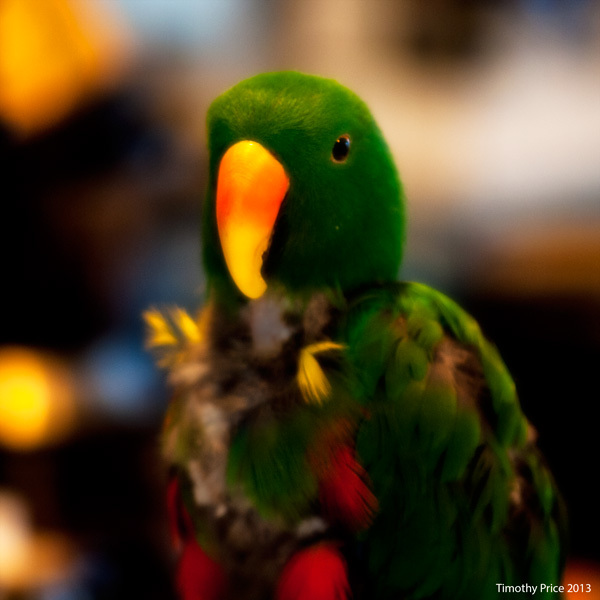 René, the Eclectus Parrot formerly known as Joey (see Joey’s Big Adventure) has come to live with us. Tristan’s household has too much activity for him, so he was getting over stimulated and stressed out. He is already happy only having to share a room with our Conure, Beakers. Laurie had Beakers out in his space in the kitchen and René was still in the study, so the birds started ringing their bells back and forth. I told Laurie they were “texting” each other. Rene’ came out when I got home and had dinner with me. Rosencrantz was sticking his tail in René’s face while he was pestering me and René was seriously thinking about biting Rosencrantz’ tail, otherwise René and Rosencrantz didn’t react to each other in the least. 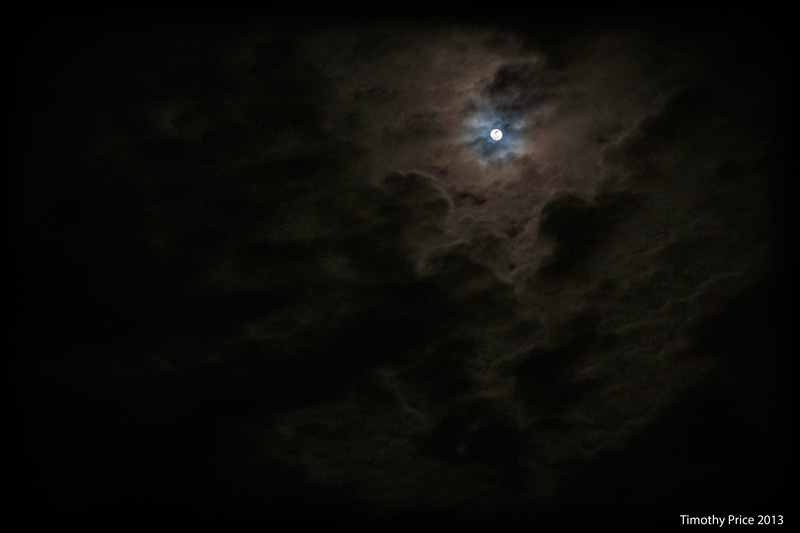 The almost full moon was beautiful peeking through the clouds tonight. I can’t resist moon and cloud photos.